Last month ICBC submitted a rate change proposal to the BC Utility Commission (BCUC). Our provincial Government claims that these changes will increase fairness and affordability, but they will increase costs to many lower-income motorists. Other price structures could do much more to increase fairness and affordability, as well as reducing crashes, pollution emissions and congestion. Although this is one of the most significant rate reforms in decades, the Government required a “streamlined” review process, with only two hearing days, on September 4 and 6, which minimized public involvement. I was appointed an intervener in this process. Here is my report. The proposal includes two types of rate changes: legislatively mandated discounts for seniors, vehicles driven fewer than 5,000 annual kilometres and vehicles with new safety technologies, and other rate changes submitted by ICBC. The legislatively-mandated changes were declared outside the BCUC’s scope so no analysis of their impacts was considered in the hearing, but since these changes are interrelated, it is impossible to analyze their impacts separately. For example, since the changes are revenue-neutral, the mandated discounts for seniors, low-mileage and new vehicles will increase premiums for other motorists, but since those changes are outside the BCUC’s scope; no information was provided on who will bear higher costs. Without comprehensive analysis it is impossible to determine whether these changes actually increase fairness (premiums more accurately accurate) and affordability (reduce costs relative to incomes), as the government claims in its press release (Attorney General 2018). The devil is in the details. For example, the legislated discount gives motorists over 64 years an additional 15% discount (7.5% if they had an at-fault crash within the last decade) and ICBC proposes extending the claims-free experience discount from nine to 40 years. Together these changes will significantly reduce premiums paid by seniors, so non-seniors premiums must increase. The analysis provided only considered the extended experience discount, not the legislated senior discount, and failed to analyze how these changes together will affect overall fairness and affordability. The 10% discount for vehicles with new safety technologies will increase premiums for older vehicles. Assuming that 10% of vehicles will qualify for this discount, it will increase other vehicles’ premiums by 1%. If this discount causes many BC motorists to purchase vehicles with these safety features who would otherwise not, and if these technologies actually reduce affected vehicles’ claim costs at least 10% on average, some of ICBC’s lost revenues may be offset by claim cost savings, but these effects are likely to be small. Many other factors affect vehicle purchase decisions, few motorists who drive older vehicles will purchase a new vehicle, and few new vehicle purchasers will choose a different vehicle just to obtain this discount. There are also reasons to doubt predicted safety benefits: good research indicates that when they have new safety technologies motorists often drive more intensely (they take incrementally more risks), what safety experts call a “Risk Compensation” or “Offsetting Behavior,” and the new safety equipment is likely to increase repair costs, which will reduce net savings (Vrolix 2006). Since few lower-income motorists own vehicles with advanced safety technologies, this is likely to reduce affordability, at least during the next decade, until vehicles with these technologies are affordable to lower-income households that purchase used vehicles. Other rate structures, such as Pay as You Drive (PAYD), could do much more to increase fairness and affordability. With current insurance pricing, “affordability” means that even lower-income, higher-risk motorists can afford unlimited-kilometer coverage. PAYD pricing redefines insurance affordability to allow motorists to choose the amount of exposure they can afford (Litman 2005; PAYD in BC website). I tried to introduce information about this concept, but it was ruled outside the hearings’ scope. During the hearing, I pointed out that the analysis could not really determine the degree that these rate changes actually increase overall fairness and affordability, and whether other rate structures might be better at achieving these goals. The ICBC attorney simply stated, “the concepts of fairness and affordability take on the meanings that they have been ascribed by government.” (Transcript, 6 September, p. 365). In other words, fairness and affordability mean whatever the Government wants. ICBC does not collect data on their clients’ incomes or annual vehicle-kilometers so it is not possible to evaluate affordability impacts or the relationships between annual vehicle travel and crashes. These rate changes are apparently based on political expediency rather than objective actuarial analysis or public policy goals. The Rate Fairness Engagement explored motorists’ preferences, but apparently few understood key issues (R.A. Malatest & Associates 2018). For example, the survey asked whether “The distance a vehicle is driven each year should play a greater role in determining insurance rates,” without providing information on resulting fairness, affordability and traffic safety benefits. Many of the comments indicate that respondents misunderstood the concept, for example, assuming that distance-based pricing reduces actuarial accuracy or increases rural and commercial vehicle premiums (it would only increase premiums for rural or commercial drivers who drive more kilometers than their rate group average). Had the engagement process provided more information on distance-based insurance on the potential benefits the result could have been very different. For example, had the question asked, “Would you support distance-based insurance rates if this increases fairness, reduces crashes, and offers motorists a new opportunity to save money?” support would probably be much higher. Attorney General (2018), Government modernizes ICBC rate design to make insurance fairer, BC Government (https://news.gov.bc.ca); at https://news.gov.bc.ca/releases/2018AG0064-001561. BCUC (2018), Insurance Corporation of British Columbia – 2018 Basic Insurance Rate Design Application – Project 1598968, 4 Sept. 2018, ICBC Presentation and Questions Transcript BC Utilities Commission; at www.bcuc.com/Documents/Transcripts/2018/DOC_52417_2018-09-04-Transcript-SRP-Vol1.pdf. BCUC (2018), Insurance Corporation of British Columbia – 2018 Basic Insurance Rate Design Application – Project 1598968, 6 Sept. 2018 Oral Arguments Transcript, BC Utilities Commission; at https://bit.ly/2NGNCqh . ICBC (2018), ICBC’s 2018 Basic Insurance Rate Design Application: ICBC’s Responses to BC Utilities Commission’s Questions; at https://bit.ly/2zxkR73. ICBC (2018), ICBC’s 2018 Basic Insurance Rate Design Application Streamlined Review Process Presentation, BC Utilities Commission Project No. 1598968 (www.bcuc.com/ApplicationView.aspx?ApplicationId=641); at https://bit.ly/2R2EB9i. Perry Kendall (2016), Where the Rubber Meets the Road: Reducing the Impact of Motor Vehicle Crashes on Health and Well-being in BC, Provincial Health Officer’s Annual Report, BC Ministry of Health (www.health.gov.bc.ca/pho/reports); at http://bit.ly/2gqxjuO. PAYD is mentioned on page 62. Todd Litman (1997), “Distance-Based Vehicle Insurance as a TDM Strategy,” Transportation Quarterly, Vol. 51, No. 3, pp. 119-138; at www.vtpi.org/dbvi.pdf. Todd Litman (2005), “Pay-As-You-Drive Pricing and Insurance Regulatory Objectives,” Journal of Insurance Regulation, Vol. 23, No. 3 (www.naic.org); at www.vtpi.org/jir_payd.pdf. Todd Litman (2011), Pay-As-You-Drive Vehicle Insurance in British Columbia, Pacific Institute for Climate Solutions (www.pics.uvic.ca); at http://bit.ly/2yDw2KY. Slide show at http://vtpi.org/PAYD%20in%20BC. Todd Litman (2017), ICBC 2017 Rate Request Application Final Arguments, BCUC Project No. 1598929, British Columbia Utility Commission (www.bcuc.com); at https://bit.ly/2nGhIed. R.A. Malatest & Associates (2018), ICBC Rate Fairness Engagement, BC Ministry of Attorney General; at https://engage.gov.bc.ca/app/uploads/sites/347/2018/05/ICBC-Rate-Fairness-Report_May-2018_FINAL-1.pdf. PAYD in BC (2018), PAYD in BC Backgrounder (www.paydinbc.ca); at http://vtpi.org/PAYD_BC_Backgrounder.pdf. 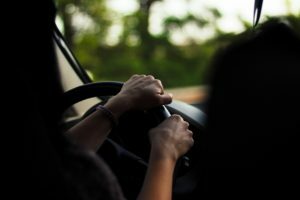 Klara Vrolix (2006), Behavioural Adaptation, Risk Compensation, Risk Homeostasis and Moral Hazard in Traffic Safety – Literature Review, Universiteit Hasselt (https://doclib.uhasselt.be); at https://bit.ly/2xEAojI.